Caption: I can see reflections of the deck that Jaci is laying on. This was a photo i almost tossed away; there was way too much contrast between the bright light on the deck rails and the darkness of her shadow. But cropped in close, maybe 20% of the original image, it becomes way more interesting, seeing detail I missed in the original. Sometimes you just have to take something out of a photo to make it interesting. Posted on April 6, 2013 by alan. 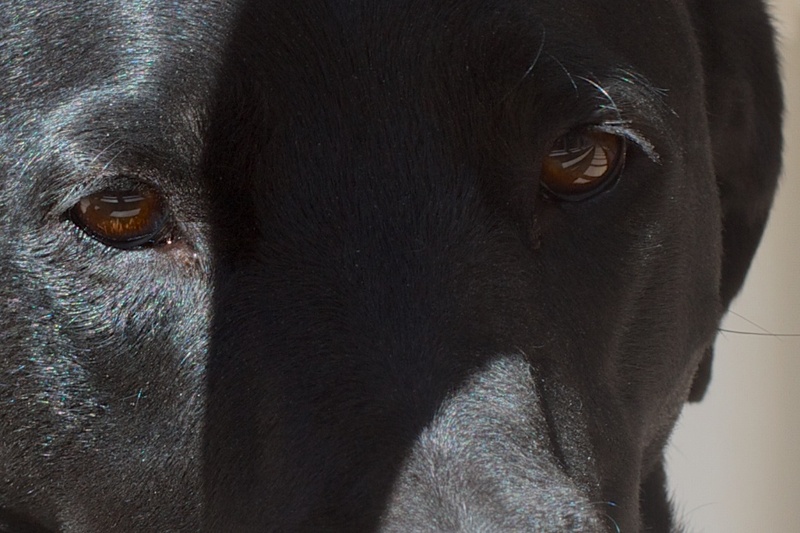 This entry was posted in Animals and tagged dog, eyes, reflection. Bookmark the permalink.